The America's Cup Superyacht Regatta is made possible with the generous support of our Premium Partner Bermuda Business Development Agency and Feadship, our Welcome Reception Partner Bermuda Tourism Authority, Race Day Partner Rego Sotheby's International Realty, Silver Sponsors Caroline Bay Marina and Insetta Boatworks, as well as Supporting Partner Coast New Zealand and Trophy Partner Puiforcat. Bermuda Business Development Agency (BDA) encourages direct investment and helps companies start up, relocate or expand their business in Bermuda. An independent, public-private unit, BDA connects prospective business to industry professionals, regulatory officials, and key contacts in the Bermuda government to facilitate domicile decisions. Bermuda’s wealth of industry expertise and innovation coupled with world-respected regulation and a 400-year-old British legal system have made the island a top-tier international financial centre. The island’s convenient mid-Atlantic location between the Europe and North American markets is attractive to corporations, along with its direct connection via daily flights to London, Toronto, Miami, New York and other major cities. So it’s not surprising Bermuda has become the world’s largest captive insurance domicile, one of the top three reinsurance centres, the leading market for insurance-linked securities, and a hub for trusts, hedge funds, family offices, and many other financial, technology, biomed and nearshore services. 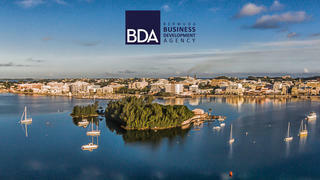 To learn more about Bermuda as a globally respected financial centre, or connect with a BDA representative, go to bda.bm. There are several key reasons why Feadship has achieved this iconic status. Firstly, it builds purely custom superyachts. What does that actually mean? In a nutshell, every yacht it builds is totally unique. Clients arrive with a vision and Feadship starts with a blank sheet of paper to translate that vision into bespoke reality. No two Feadships are the same. Each one reflects the style of its owner, how they like to relax and/or party, their idea of the ultimate travel experience, the places they would like to discover and so much more. 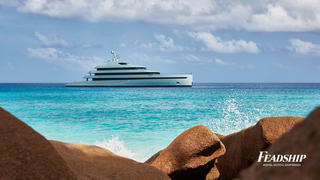 Feadship combines all these parameters into one package and adapts the design process to every individual client. It’s what the shipbuilder calls ‘pure custom’ and it involves embarking on an unforgettable voyage through the entire process. Clients building a yacht for the first time can rest assured that Feadship will leverage on the many hundreds of times it has guided people in making a lifelong ambition come true. There is an inherent quality to every Feadship that you can only really feel when you step aboard. This is the result of a relentless pursuit of perfection in every aspect of design, construction and engineering. Feadships are the product of perfect craftsmanship passed down the generations and are renowned for holding their value. Together, this is what makes up the Feadship Experience… An investment in your pleasure that will live with you forever. The BTA is the official destination marketing organisation of Bermuda and is an accredited member of Destination Marketing Association International. The Bermuda Tourism Authority is an independent, forward-thinking tourism enterprise - dynamic, entrepreneurial and vibrant. 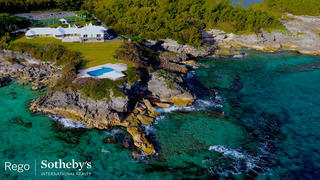 It is the singular voice that continually evolves Bermuda as a world-class tourism destination. 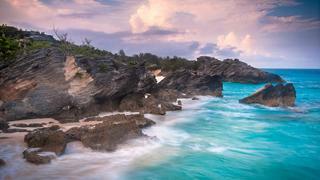 It partners with the Government of Bermuda and its people to grow tourism and create jobs. We analyse relevant tourism data from key tourism sectors to monitor and measure the industry's performance and its alignment with the priorities of the National Tourism Plan. We utilise the expertise within our five core divisions, we engage in strategic partnerships with the government and private sector to grow the tourism industry and strengthen the Bermuda economy overall. Rego Sotheby’s International Realty and its team members have been recognised year-after-year with Best of Bermuda Awards for Best Residential Agent, Best Commercial Agent and Best Commercial Real Estate Team. Currently it represents the sales and leasing of Bermuda’s newest hotel tourism properties including Rosewood Tucker’s Point, The Loren at Pink Beach and St. Regis in St. George’s. 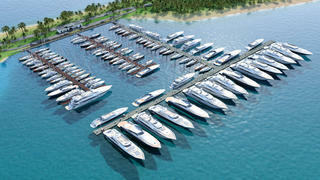 Caroline Bay Marina is a full-service superyacht marina located on the Morgan’s Point Development in Southampton, Bermuda - very near to the America’s Cup Race Course. The marina offers 2,340 linear feet of dock space for up to 30 superyachts berthed med-style plus berths for up to 80 smaller vessels. 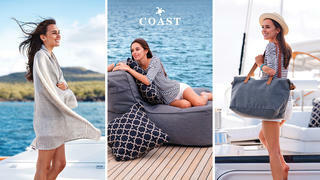 COAST New Zealand is a luxury lifestyle brand and the supplier of choice to superyacht owners since 2003. Based in Auckland, New Zealand, COAST has always drawn inspiration from the sea and borrows many of the materials and methods of luxury yacht building and design. COAST is best known for its collections of classic canvas bags, natural textiles, leather accessories and luxury soft furnishings. While handmade in New Zealand, COAST’s collections can be found the world over, from Bermuda to the Bay of Islands, aboard yachts and in homes, hotels and resorts. COAST’s designers have emulated the exacting standards of modern boat builders in their choice of materials and attention to detail, ensuring that every COAST product is not only enduring, but timeless. Having been associated with the America’s Cup since 2003, COAST is delighted to provide the owners’ bags for the America’s Cup Superyacht Regatta in Bermuda. COAST New Zealand invites you to escape every day. For more information on the COAST collections, including custom designs and commercial projects, please visit www.coastnewzealand.com or contact Nicola Webster (nicola@coast.co.nz or +64 9 354 4552). COAST New Zealand is a luxury lifestyle brand and the supplier of choice to superyacht owners since 2003. Based in Auckland, New Zealand, COAST has always drawn inspiration from the sea and borrows many of the materials and methods of luxury yacht building and design. COAST is best known for its collections of classic canvas bags, natural textiles, leather accessories and luxury soft furnishings. While handmade in New Zealand, COAST’s collections can be found the world over, from Bermuda to the Bay of Islands, aboard yachts and in homes, hotels and resorts. COAST’s designers have emulated the exacting standards of modern boat builders in their choice of materials and attention to detail, ensuring that every COAST product is not only enduring, but timeless. Having been associated with the America’s Cup since 2003, COAST is delighted to provide the owners’ bags for the America’s Cup Superyacht Regatta in Bermuda. COAST New Zealand invites you to escape every day. For more information on the COAST collections, including custom designs and commercial projects, please visit www.coastnewzealand.com or contact Nicola Webster (nicola@coast.co.nz or +64 9 354 4552). 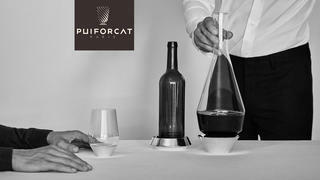 Founded in 1820, the house of Puiforcat is a silversmith to the finest tables. Besides its virtuoso skill in silverwork, it enjoys a reputation for a consummate sense of design and elegance. This is due in part to the tremendous contributions made by Jean Puiforcat, a member of the fourth generation of the family, who headed up the company from the 1920s onwards. As a personification of the Art Déco movement and a member of the Union des Artistes Modernes, he elaborated a unique style characterised by architectural shapes, clean lines, meaningful simplicity and the absence of embellishment. His spare style provides the foundation for fine contemporary silverwork. Combining harmony and the pursuit of beauty in functional objects, it remains the guideline of the house to this day. Since coming under the wing of the Hermès Group, Puiforcat has used its truly exceptional savoir-faire to both reproduce the finest pieces of its heritage and to imagine tomorrow’s classics alongside great contemporary designers. The Champagne beaker, a unique tasting vessel, the line of wine glasses Puiforcat Orfèvre-Sommelier developed with sommelier Enrico Bernardo, as well as Bureau d’Architecte, a line of desk accessories by French architect Joseph Dirand, all illustrate this approach.